Need a quick idea for a comic? How about a terrible pun! I am going back to Chicago for the holidays and I'm pretty excited to see some friends and family who I haven't seen for a while. 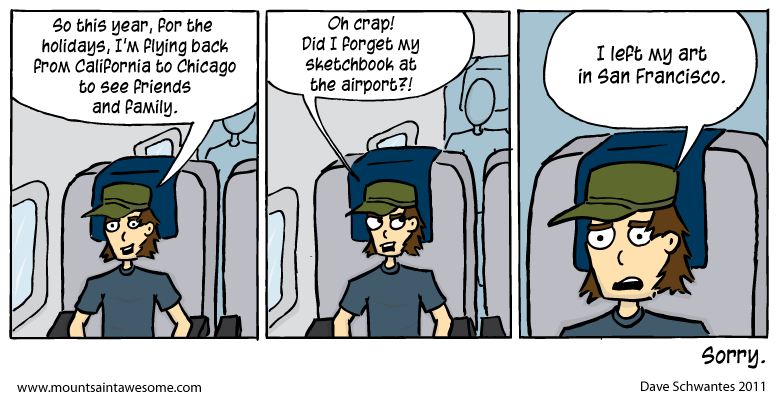 I'll be there for a few weeks and I'll try to keep updating the comic, assuming my parents own a scanner. Don't touch my stuff while I'm gone!